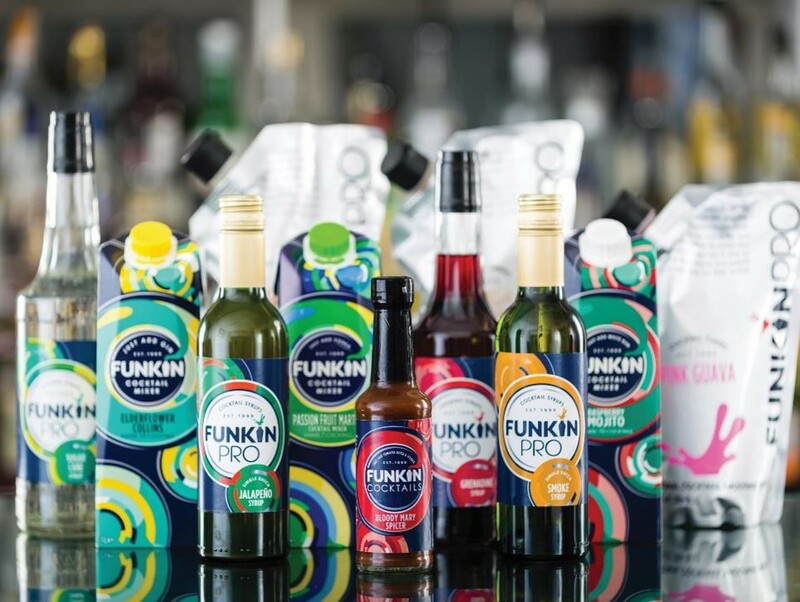 Founded in 1999 by Alex Carlton, Funkin is the UK’s premier supplier of cocktail purees, mixers and syrups to the UK On Trade. Funkin is based in Camden, London, with a team of over 30 people. This company was bought in 2015 by the FTSE 250 drinks business AG Barr Plc – the owners of Irn Bru and Rubicon. Funkin began as a smoothie brand and was sold from the back of a Smart car in Soho. 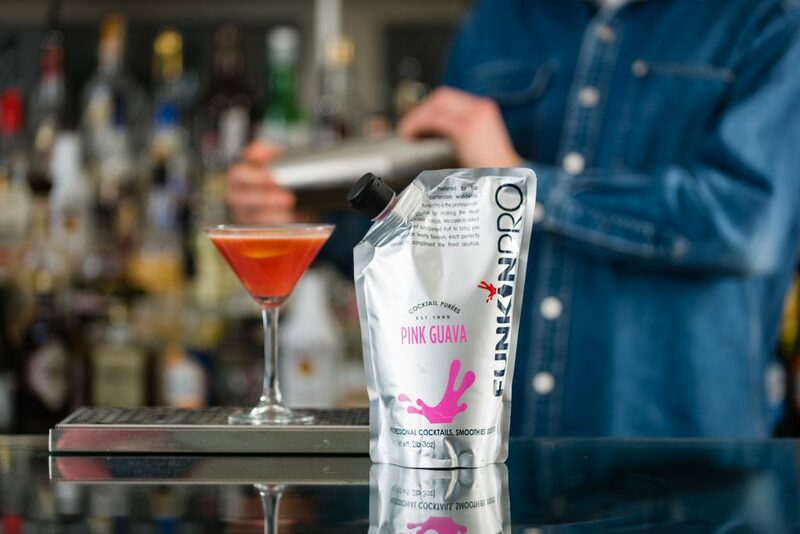 It wasn’t long before the brand progressed from smoothies to distributing juices and purees to bars for use in great tasting cocktails. At launch the competition was only offering frozen cocktail purees, so Funkin’s quality fresh products quickly became very popular, and went global. 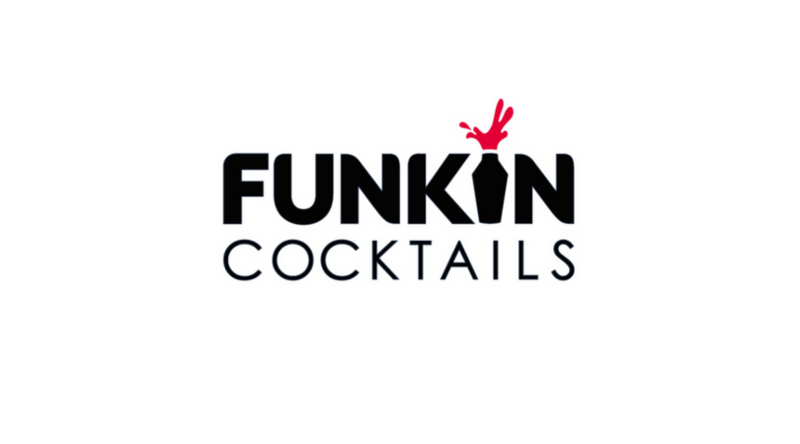 In 2002 Funkin entered the off trade and really began targeting consumers in 2005/6 with an award winning range of pre-batched cocktail mixers. We have our Funkin Pro range, which consists of over 20 purée varieties. Each Funkin puree variety contains nothing but 100% natural fruit purée from all over the world; Persian limes from Mexico and Passion fruit from Ecuador to Mangoes from India. We also have a growing range of pro syrups, this includes bar staples such as sugar syrup and grenadine as well as hot trending flavours like our jalapeno syrup or beetroot shrub. In addition we have a range of Funkin pre-batched cocktail mixers currently available in 11 delicious varieties such as Passion Fruit Martini and Raspberry Mojito. We are constantly working with some of the best mixologists and our own development team to grow the range to include even more of the latest and greatest cocktail flavours. Our mixers have been awarded numerous gold and silver medals in the esteemed Drinks International Pre-mixed Challenge as well as a Great Taste Award. How would you describe the culture at Funkin? Funkin has a really engaged culture and a team that really care about the business. 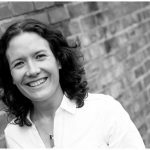 Being relatively small there is the opportunity for people to become involved in and gain experience and insight from areas that might not be available within larger businesses. For example being directly involved with new product development or dealing with some of the larger customers early on. We have a set of ‘EPIC’ values that are really important to us. The Entrepreneurial spirit that started Funkin is alive and critical to the future success of the business. All our People have a passion for the Funkin brand, a sense of independence and the feeling that everyone matters and everyone can make a difference. Funkin are a key Innovator with the trade, often taking product from concept to production within 3 months. We are constantly looking for new ways to deliver innovative solutions for our customers and consumers. Many of our customers see us as a key cocktail consultant and therefore we have really Collaborative relationships not only with our customers but also internally and with our spirit partners. We are an ambitious, growth business and as you would expect from us, we have a couple of major new product launches coming up. They were planned for 2017, but due to customer demand we have brought these forward to 2016. In addition we have a major product launch specifically targeting the off trade which is a potential game changer for the cocktails at home market. 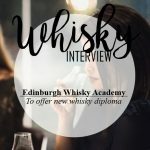 Did you know you could own a Scotch Whisky diploma?